Do you know the legend of Sri Venkateswara Temple? 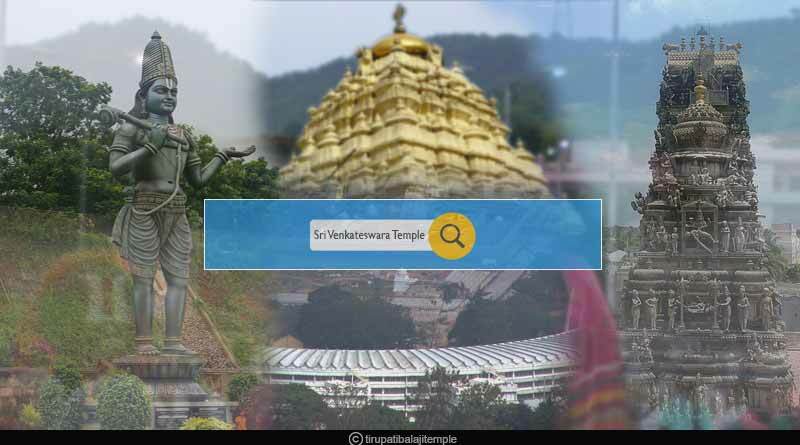 The Venkateswara Temple or Tirupati Balaji is one of the most famous pilgrimages of India, which is glorified for being the earthly abode of the Hindu god, Lord Vishnu by the scriptures. It is located on the hills of Tirumala, Chittoor district, Andhra Pradesh, India. Must Read: Shiva Tandav Dance – Why did Lord Shiva perform tandava? Here is the detailed account of the legend of Sri Venkateswara Temple. At the beginning of the Kali Yuga, several rishis (saints) were praying and performing holy sacrifices. The rishis were confused as to whom they should dedicate the fruit of their sacrifice. Bhrigu, one of the rishis thought to test the three chief divinities-Lord Brahma, Lord Vishnu and Lord Shiva, to receive the divine boon of the Yagna. 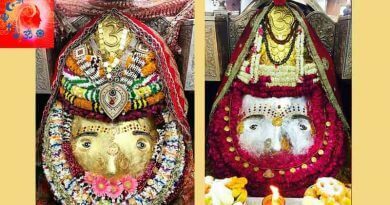 Sage Bhrigu first went to Lord Brahma where he found him busy chanting Vedas with one face, uttering the name of Narayana with another and looking at Goddess Sarasvati with the third. He did not notice Bhrigu and Bhrigu angrily left the place. He then went to Shiva’s abode where he found Lord Shiva with his divine consort, Parvati Devi, taking no notice of his visit. Finally, he went to Lord Vishnu and found Vishnu and Lakshmi reclining, unmindful of his arrival. Disgusted over this, Bhrigu kicked Lord Vishnu on the chest, where Lakshmi was reclining. Vishnu immediately got up, massaged rishi’s foot and asked if his foot was injured kicking his hard chest. Pleased with Vishnu’s behaviour, Bhrigu returned to the rishis and advised them to dedicate the fruit of their sacrifice to Vishnu. But, Lakshmi was extremely angry over Bhrigu for kicking Vishnu’s chest and left Vaikuntam. After Lakshmi’s departure, Vishnu also left Vaikuntam and went in search of her wandering over the hills. When he failed to find Lakshmi, he bore human form as Srinivasa, reached Tirumala Hills and started meditating. Lakshmi came to know about the condition of Srinivasa (Vishnu) and prayed to Lord Shiva and Brahma. Shiva and Brahma in order to help her converted themselves into a cow and a calf. Goddess Lakshmi then handed over the cow and calf to Chola king ruling Tirumala Hills at the time. One day cowherd noticed that the cow is not giving milk so he decided to follow the cow. When he saw that the cow is giving milk to Srinivasa he tried to beat the cow but the injury was borne by Srinivasa. Angered by cowherd’s action Srinivasa cursed the King (as cowherd resided in his kingdom) to become a demon as dharma suggests servants’ sin should be borne by their Kings. The king prayed for mercy to which Srinivasa said that his curse would end when he will be adorned with the crown presented by Akasa King at the time of his (Srinivasa’s) marriage with king’s daughter Padmavati. The marriage took place and after a few months, Goddess Lakshmi came to know about the entire series of events that had taken place and went to Tirumala hills to question Srinivasa (Vishnu). It is said that Srinivasa turned into stone right before he confronted Lakshmi and Padmavati. Lord Brahma and Shiva appear before the confused queens and explain them everything. Lord Vishnu then expressed his desire to live on the 7 hills for the welfare of mankind. Goddesses Lakshmi and Padmavati also turn themselves into stone deities expressing their wish to be with their Lord always. Lakshmi stays on the left side of Vishnu’s Chest while Padmavati resides on the right side. For more articles like ‘Legend of Sri Venkateswara Temple’, do follow us on Facebook, Twitter, and Instagram.